KOH LANTA, THAILAND: Pimalai Resort & Spa, the luxury resort surrounded by nature on Koh Lanta, has further elevated its culinary reputation by welcoming celebrated French chef Bruno Menard back to the resort for his second annual “Gastronomic Journey”. 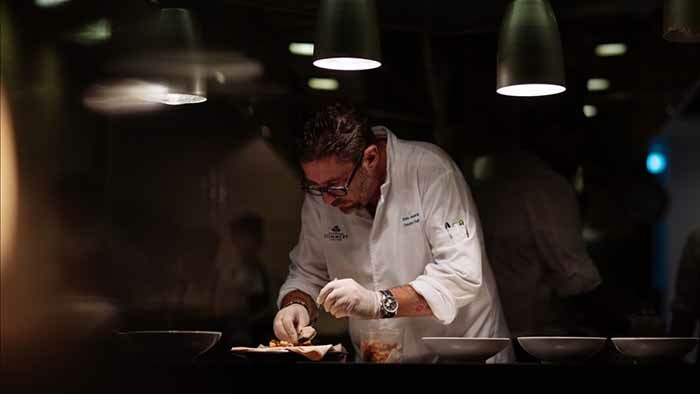 Hosted on the evening of Sunday 31stMarch 2019, this exclusive epicurean evening saw Chef Bruno create an extraordinary four-course dinner for guests at Seven Seas Wine Bar and Restaurant, Pimalai’s stunning fine dining destination which overlooks the Andaman Sea. This year’s Gastronomic Journey took place almost exactly a year after Chef Bruno hosted his inaugural culinary event at Pimalai. This will now become an annual occasion, as the luxury resort strives to become a world-renowned gastronomic destination and put the island of Koh Lanta on the global culinary map. Seven Seas Wine Bar and Restaurant. A former holder of three Michelin stars and a judge on the Asian edition of MasterChef, Chef Bruno is a culinary genius whose stellar 35-year career has taken him to some of the world’s leading restaurants. He is currently the Food Director at JUNON, the acclaimed French restaurant in Hong Kong, and Executive Chef at Vranken-Pommery Monopole, which owns a collection of vineyards, including many in the Champagne region of France. 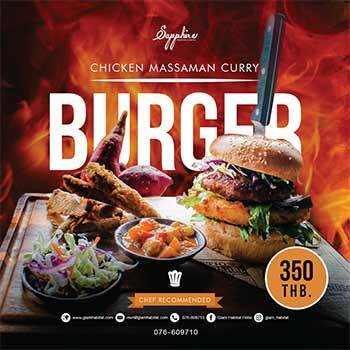 “Thailand’s food culture has been famous for many years, but we are now seeing the country’s culinary influence spreading across the globe. Many of the world’s leading chefs are now being attracted to Thailand’s shores, and Bruno Menard certainly fits into that category – he is one of the few chefs to have achieved three Michelin stars, the holy grail of fine dining. We were delighted to welcome Chef Bruno back to Pimalai and our guests were dazzled by his cuisine. This is another important step in establishing our resort as an exceptional gastronomic destination,” said Franck de Lestapis, Pimalai’s long-serving general manager. Confit salmon with caviar, asparagus and Chantilly sauce. Chef Bruno’s refined four-course menu at Pimalai focused on light, vibrant flavours, with dishes that blended exquisite French cooking techniques with Asian influences. To ensure a deep connection with Koh Lanta, many ingredients were sourced from the resort’s own herb garden. Poached turbot with white wine. The evening commenced with an amuse-bouche of borscht emulsion with marinated mushroom, followed by an appetiser of confit salmon with caviar, asparagus and Chantilly sauce. The main course showcased lightly poached turbot with white wine and extra virgin olive oil emulsion, ikura and condiments, before the menu concluded with a dessert of textured red fruit with espuma de crème Catalane. Pimalai’s second annual Gastronomic Journey was attended by in-house guests and outside diners, plus local and international media from Thailand, Hong Kong, UAE and Singapore. Publications represented at the event included the Bangkok Post, Robb Report Thailand, World Travel Magazine, Travel + Leisure Southeast Asia, South China Morning Post, and Destinations of the World. Guests were also treated to an exclusive itinerary at Pimalai, including sunset cocktails, a wildlife tour to a mangrove forest, a sunset cruise to Koh Haa, spa treatments and more. Red fruits in texture, Catalane Espuma. Spread across 40 hectares of lush hillside and beachfront land, Pimalai has become favourite for A-listers and repeat visitors seeking a natural retreat, away from the tourist bustle of Thailand’s better-known islands. Accommodation includes the stunning 204 square metre Hillside Ocean View Pool Villas, which are nestled 60-90 metres above sea-level and offer guests spectacular views of the Andaman Sea as they bask in their private infinity pool. When they are not relaxing in the luxury of their villa or enjoying world-class cuisine, guests can experience an array of exciting activities at Pimalai. These include diving at Koh Haa, the breath-taking island and lagoon that attracts tropical fish, octopuses, manta rays, sea turtle and even whale sharks, which frequent the area between February and May. For more information, please visit www.pimalai.com, email [email protected] call +66 (0) 2320 5500.